Manila, Philippines - Acer today announced two new desktops powered by Windows 10 available for the holiday season: the sleek 23.8-inch all-in-one PC Aspire U5 Series, and the tiny 1-liter desktop PC Revo Build Series with modular design for easy customization. The new Aspire U5 Series (U5-710) all-in-one PC features a sleek chassis of just 37mm, with a small and elegant metal stand. It has a clean profile with the essential I/O ports (HDMI I/O, DC Jack, Ethernet, USB 2.0 and 2 x USB 3.0, TV tuner) neatly organized in the back, and the less-used ports and OSD button tucked away under a flap on the side. The back cover of the Aspire U5 has a true-to-life textile finish, made possible by new manufacturing processes with molds created with 3D printing and laser engraving. The Aspire U5-710 ships with the latest 6th Gen Intel® Core™ i7 and i5 processors, NVIDIA® GeForce® graphics, and up to 16 GB memory providing a smooth experience for all kinds of computing and entertainment purposes. 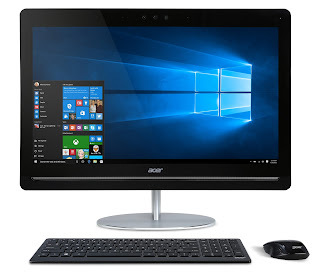 In addition, the Aspire U5-710 features a built-in Intel® RealSense™ Camera with depth-sensing technology, allowing users to scan 3D objects, control the PC with gestures, or create a more lifelike video chat environment. Users can also login to Windows 10 more securely with their own face through Windows Hello support. The Aspire U5-710 features a 10-point multi-touch Full HD (1920 x 1080) IPS display, which provides crisp and clear graphics with wide-viewing angles and Flicker-less technology. Dolby® Audio and Acer TrueHarmony™ allow it to fill the room with rich and powerful sound, while Acer Purified.Voice along with dual digital microphones ensures users are heard loud and clear. The new Revo Build Series (M1-601) Mini PC takes a modular approach to allow consumers to customize their computer without opening up the chassis. “Blocks” with different features can be easily stacked on top of the base unit, which makes adding functionality as easy as playing with toy blocks. The “Blocks” are connected through pogo pins with magnetic alignment so that there’s no hassle with wires when swapping out modules. The Blocks can also work independently or with other PCs. 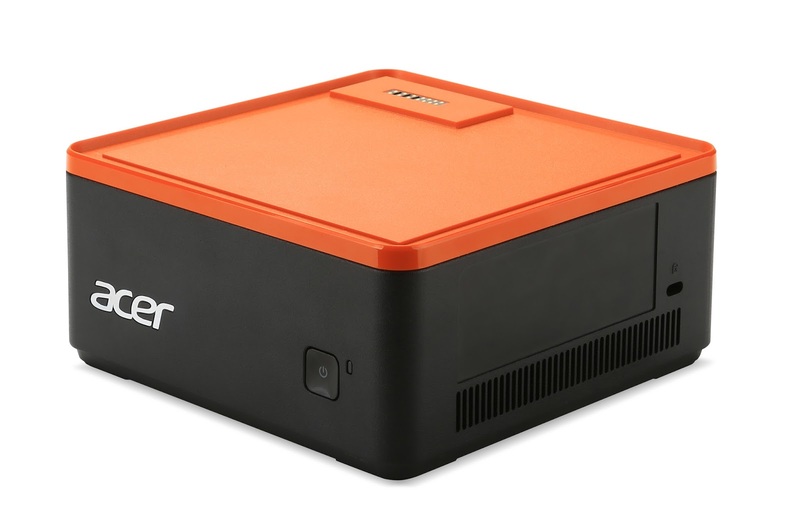 The Revo Build M1-601 desktop is packaged in a tiny 1 liter chassis with a 125 x 125 mm footprint that takes up minimal space and can be placed almost anywhere. “Blocks” such as the 500GB/1TB hot-swappable Portable Hard Drive will be available at launch, while a Wireless Power Bank for wireless charging, an Audio Block with speakers and microphones, and other expansion “Blocks” will be rolled out gradually. The base unit comes with a Intel® Pentium® or Intel® Celeron® processor with integrated Intel® HD graphics, while the system memory of up to 8GB DDR4 RAM can be easily upgraded by just loosening one screw. The Acer Aspire U5-710 will be available in EMEA in October with prices starting at €999. The Acer Revo Build M1-601 will be available in EMEA in October with prices starting at €199, and in China in December with prices starting at ¥1,999. Specifications may vary depending on model and region. Dual DVB-T, specifications may vary depending on model and region. 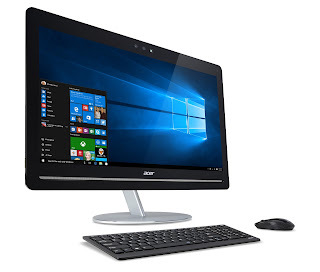 Established in 1976, Acer is a hardware + software + services company dedicated to the research, design, marketing, sale, and support of innovative products that enhance people's lives. Acer's product offerings include PCs, displays, projectors, servers, tablets, smartphones, and wearables. The company is also developing cloud solutions to bring together the Internet of Things. Acer employs 7,000 people and ranks No. 4 for total PCs globally (IDC 2014). Revenues for 2014 reached US$10.39 billion. Please visit www.acer.com for more information.